I am currently working on setting up this site so please check back often and see whats new. Thanks. "I Started Marci's boot camp about 2 years ago. Prior to that I was a real gym rat where I THOUGHT I was working out! I must say that no spinning, weight lifting, dancing, yoga, or anything else can be as challenging and rewarding as Marci's workout! Its complete and total conditioning of your body. You will get to do an exercise for every single muscle in a different way! Also, its a pleasure to be working out with an incredibly positive and warm person that charges your batteries for a whole day. "Email Marci if you would like to speak with me directly. "My wife is 50+ and has been working out at Marci's boot camp for two months. If you ask her, she would talk about her improved skin tone and the 11 pounds and 2.5 inches off her waist that she has lost. But if you ask me, what I've really noticed is her boost in energy and how much better she feels about herself. She has tried losing weight before, but there is something about Marci's program that has engaged my wife and kept her motivated where others have not. Most importantly, Marci's program has helped my wife to have a healthier life and that is a great gift to our family".Email Marci if you would like to speak with me directly. "I have been with Marci for about 2 years. 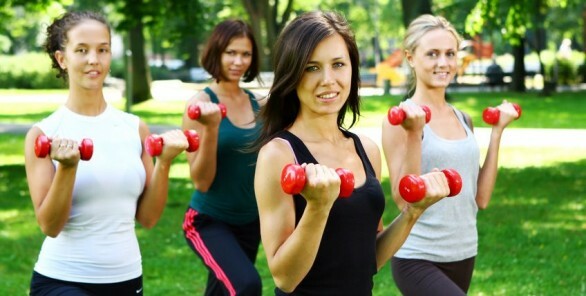 It is the best workout in the one hour we have together that combines cardio, weight training and toning all in one. For those of us who have minimal time, this is the most effective way to get into shape and stay fit and healthy. Marci makes it fun and upbeat, and always motivating. I love it and what it does for me. "Email Marci if you would like to speak with me directly. "Marci's boot camp has been a life changing experience for me. I have been going to the gym for about 12 years before starting with Marci and I have never seen the results like I am seeing now. Her enthusiasm and encouragement goes along way! Marci you rock!" Email Marci of you would like to speak with me directly. "When I started working out with Marci I was so out of shape I was out of breath during the warm up exercises. Now-at the age of 52, I am in the best shape of my life. Marci is always finding new ways to push me to my limit. 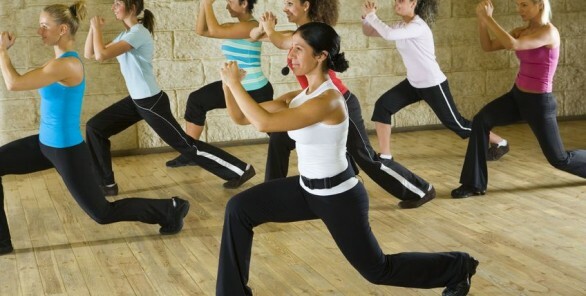 Whether it is in a boot camp class or private session, the exercise routines are always exciting and fun, combining aerobics, weights and more! Never been so committed to working out and enjoying it this much! "Email Marci of you would like to speak with me directly. "I started working out with Marci a few months after having my first baby and have never felt better. Her workouts are efficient, customized, encouraging, and thorough. I always leave feeling that I have toned every part of my body, and I consistently receive positive comments from friends, family, and co-workers on my appearance! "Email Marci of you would like to speak with me directly. "Although I am only able to exercise once a week, it has been amazing! Marci is an incredible, enthusiastic and highly motivating trainer. I am becoming much stronger and am in much better shape. It is a excellent workout - very fast paced so it is never boring - and is always challenging. Amazing hour! "Email Marci of you would like to speak with me directly. "Marci forces you to use more than 1 muscle group at a time. She utilizes the hour and makes every minute count! 1 hour with Marci can equal 2-3 hours at the gym. Thanks Marci. Your the best! "Email Marci of you would like to speak with me directly. "Marci is an exemplary trainer. She's smart and knows her stuff. I know I am safe with Marci and I'll never be hurt or pushed inappropriately. At each session, she meets me where I am and brings me along to a level of fitness I never knew possible. I've lost inches and pounds and most of all, I FEEL GREAT!" "My favorite thing about my mother is that she helps me do the monkey bars at the park. It is good thing that she goes to Marci's everyday to exercise so that she is strong enough to hold me up!"